JA Solar sells its products to solar manufacturers worldwide, who assemble and integrate solar cells into modules. The company has two solar cell manufacturing facilities, one located in Ningjin, Hebei Province and the other in Yangzhou, Jiangsu Province. JA Solar sells solar panels as an OEM Solar Panel Producer which means that it sells its solar panels to companies who put their own brand names on solar panels produced by JA Solar. Yingli Green Energy (YGE) is one of the oldest Chinese companies and is completely integrated. One of the world’s first fully vertically integrated photovoltaic manufacturers, the company develops, manufactures and sells high-quality modules under the brand Yingli Solar to a wide range of markets including Germany, Spain, Italy, Greece, France, South Korea, China, and the United States. The company is headquartered in Baoding, China with over 11,000 employees worldwide & more than 10 branch offices globally. The business model covers the entire PV value chain, from polysilicon production to the assembly of modules. Both Yingli Green Energy (YGE) and JA Solar (JASO) Modules are good buys and one of our top picks to buy in 2013. Both Yingli Green and JA Solar are Chinese companies and provide modules at cheap prices. Yingli Solar panels are divided into: 1) Monocrystalline: PANDA 48 and 60 cell series 2) Multicrystalline: YGE 48, 60 and 72 cell series and iii) Off-grid modules: YLSYS 300, 800, 1200 and 1600 series. i) Residential: PANDA 48 and 60 cell series and YGE 48 and 60 cell series. iii) Utility (Power Plants): YGE 60 and 72 cell series. JA Solar Modules come in both monocrystalline and multicrystalline make. The different models available are: 1) Monocrystalline: i) SECIUM JAM5 72, ii) SECIUM JAM6 60, iii) SECIUM JAM6 72, iv) JAM(L) 72, v) JAM6 60 and 2) Multicrystalline: i) MAPLE JAP6 60, ii) MAPLE JAP6 72, iii) JAP6 72 and iv) JAP6 60. The cell types found in Yingli modules is generally 156×156 mm, whereas in JA Solar they are 125×125 mm, 126×126 mm and 156×156 mm. Both JA Solar and Yingli Green modules have a positive power tolerance of 0 W to+5 W.
Weight for Yingli modules is between 15 kg to 21 kg. JA Solar modules weigh 15kg, 15.5 kg and 18.5 kg. Anodized aluminium alloy frame is used in Yingli Green solar modules, whereas JA Solar panels come with the traditional aluminium frames. The solar panels from both can withstand upto 5400 pa wind speed and snow load. JA Solar modules have 10 years quality guarantee and 10 – 25 years power output guarantee. Yingli Green Energy modules come with 10 years limited product warranty and limited power warranty of 10 years at 91.2% of minimal rated power output, 25 years at 80.7% of minimal rated power output. 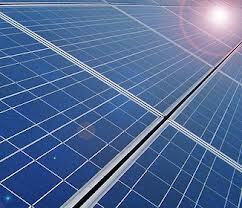 JA Solar Modules have IEC, CE and UL certifications. Yingli Green modules are certified under IEC 61215, IEC 61730, MCS, CE, ISO 9001:2008, ISO 14001:2004, BS OHSAS 18001:2007, SA 8000, PV CYCLE. Read other technical details of solar modules of both the brands here: JA Solar and Yingli Green Energy.